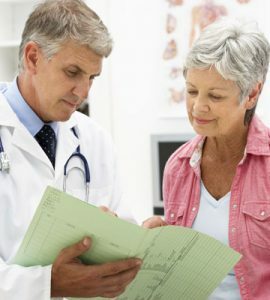 Can You Use Estrogen Therapy for Osteoporosis? It is not only a woman’s body that needs a healthy supply of estrogen to maintain strong bones. Just as women also need testosterone, so to do men require estrogen. By the time many people discover they have osteoporosis it is too late. They have suffered a serious fracture of the back or hip, leaving them susceptible to further breaks. That is also why some physicians consider prescribing estrogen therapy for osteoporosis. As hormone levels decline, holes in the inner, spongy layer grow, weakening the bone from the inside out. Bone loss increases as bone breakdown (resorption) occurs faster than new cells grow. Growth hormone and IGF-1 support the production of new cells, testosterone helps inhibit bone resorption. More importantly, testosterone undergoes conversion into estradiol (estrogen) to help protect bone density. Your doctor may want you to begin estrogen hormone replacement therapy for osteoporosis as soon as you show symptoms of menopause. There was a time when estrogen was the only approved treatment option for osteoporosis. Today, many other medications can help improve bone density. Hypogonadal men may also benefit from estrogen therapy to prevent osteoporosis. It is essential to look at the bigger picture when considering estrogen replacement therapy for osteoporosis. Estrogen use does have specific risk factors, and the hormone doctor can evaluate the situation to determine the best treatment. Who Can Benefit from Estrogen Therapy for Osteoporosis? Women, as well as men, can benefit from learning all they can about estrogen therapy and osteoporosis. It is common today for women to undergo bone density tests at an early age. Men do not often undergo these tests unless they have health conditions that can weaken their bones. That is why so many males do not discover their osteoporosis until they experience a fracture. The sooner you have bone density checked, the sooner you can begin estrogen therapy for osteoporosis prevention. Of course, a lifetime of good habits is the best way to protect bone mass. Exercise, not smoking, adequate vitamin D and calcium intake, and proper sleep can help protect bone mass. 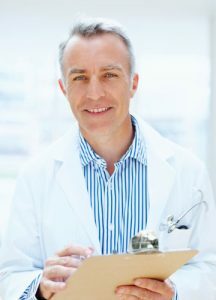 Your hormone doctor will run blood tests to determine what type of hormone replacement will be best for you. The use of estrogen for treatment of osteoporosis is one option. 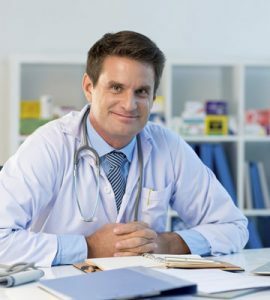 Testosterone and human growth hormone therapy are two other possibilities depending on your test results. The ideal situation is to prevent osteoporosis before it occurs. Osteopenia is the predecessor to osteoporosis. The higher your risk of osteoporosis, the more crucial it is to seek treatment as early as you can. Hormone therapy is always best left to a specialist. Prescribing estrogen without measuring progesterone, testosterone, and growth hormone levels is like taking a shot in the dark. You hope it is the right move. For adults with low estrogen levels, the use of estrogen therapy for osteoporosis is an excellent choice. However, if there are also problems with testosterone and progesterone levels, then increasing estrogen could create further problems. If higher levels of estrogen go unopposed from progesterone and testosterone, estrogen dominance could occur. 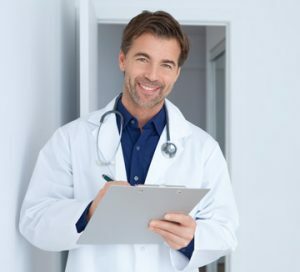 Following the initial consultation with a hormone specialist, you will undergo both a physical examination and blood test. 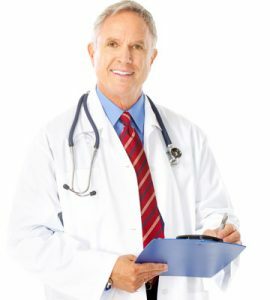 Your doctor will also have you complete a medical history questionnaire. Prior health concerns may play a contributing role in hormonal decline. Following a review of the completed medical file and test results, the doctor will prescribe the appropriate treatment. HT Medical Center is happy to provide additional information about estrogen replacement therapy and osteoporosis as requested. We offer complimentary, confidential consultations with a medical advisor by telephone. Please contact us today to learn more about protecting your bones.